The Sierzega Traffic Detection Device SR4 is based on radar technology and thus the perfect solution for vehicle detection. Unlike other methods of counting traffic (tubes, loops and manual counting) our devices can be used for non-intrusive counting to deliver unbiased traffic data. 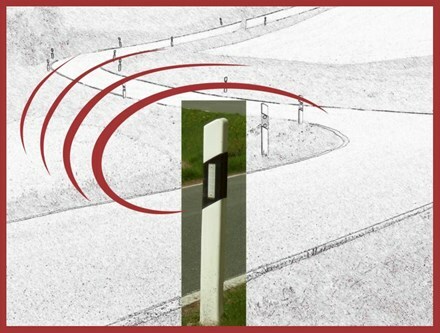 A mobile traffic detection device to the highest quality standards! 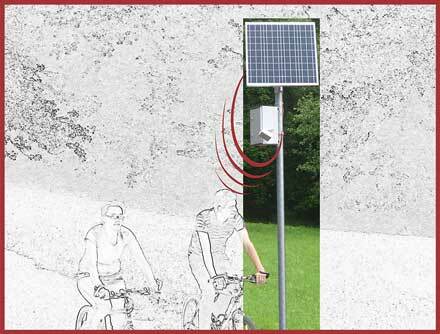 The SR4 combines easy and quick mounting at the roadside with the highest accuracy level on data collection. No need for any construction work, no interruption of the flow of traffic. Due to its energy-saving operation the SR4 is able to gather traffic data at the roadside for a period of more than 2 weeks continously. The collected data can be retrieved wirelessly with an Android smartphone or a Laptop using Bluetooth and can be sent directly to the office via E-Mail. Included in delivery is the Sierzega Analysing Software SRA, which offers a user friendly, in-depth way to filter, analyse and evalute data using meaningful charts. All your Traffic Counting needs will be fulfilled! Power Consumption - Low Power Design! BT-Comm is used to connect to any Sierzega device in order to configure it and download traffic data. SRA is used to process, analyse and display traffic data for Sierzega Traffic Counters. This detailed manual includes information about setting up the device, connecting and configuring the device and analysing traffic data.